I've complied April's best fashion magazine covers to share with all of you. Most recently, Nylon released their latest cover featuring Sucker Punch star Vanessa Hudgens donning a Proenza Schouler frock. I'm loving the colors and the edge Vanessa has been rocking since stepping into the promotional circuit for Warner Brothers action flick "Sucker Punch." The movie revolves around a young girl who is institutionalized by her wicked stepfather. In the film the former girlfriend to heartthrob Zac Efron prepared for the role of "Blondie" by training for an entire year before camera's rolled. “What actress wouldn’t want to do it? “It’s not me trying to push aside everything else that people know me as. 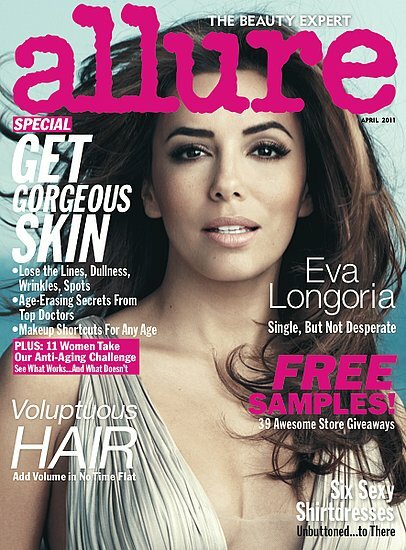 It’s just that this is an incredible project that I wanted to be a part of,” Vanessa shared. Second place in this April's Cover Wars goes to Kate Winslet's Glamour magazine cover. 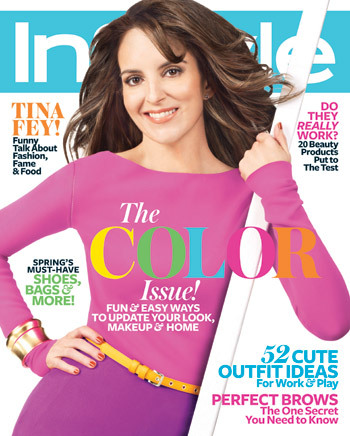 InStyle's cover featuring 30 Rock star, Tina Fey, may be my least fave of the bunch. I appreciate the colorful palate but its definitely coming off as campy. Which cover is your favorite and least from the bunch? what a great post! 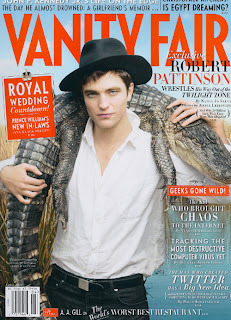 my fav is the vogue cover! Rihanna looks pretty fantastic! Love that red hair! Thank you so much for visiting my blog! Now following of course!!! i like the vanessa hudgens one... she's always my fav... thanks for following my blog! i follwed u!!! That Marie with Bradley Cooper looks the best out of all of them. There's something about it. I love the vogue cover but I prefer vanessa hudgens!! I always like her look! love the covers all so interesting! my fave is Elle with Amanda Seyfried and my least fave is Marie Claire...i don't like Abbie Cornish as a bobbed brunette. What an amazing picture. You look so beautiful. My least favorite has to be the Lucky one. Hate it. Love the picture of you. That color is amazing. i hope you'll visit and follow my blog...late in the afternoon a CHANEL GIVEAWAY!!! Just found your blog! Pretty interesting things going on, I'll keep on diggin' it! Bradley Cooper and Abbie Cornish = LOVE!!! Love Rihanna on the Vogue cover! looove the vogue and elle ! Amazing post. Thanks so much for pulling all of these. The picture of the blonde at the top is beautiful. I'm liking Vogues cover the best. Rihanna looks great!! I am NOT loving Instyle's cover or Vanity Fair's. I'm a new follower! I really like this month's Elle cover. Amanda always looks perfect. do you want to win weeks blog in my blog? I have over thousand people on my blog almost every day. definitely love the vogue cover with rihanna's red hair! Haha! You're crazy! So many magazines?! Just checked out ur blog for the first time, we were both nominated for the mini blog award and I loove it! Gorgeous pics and great content! Check out mine and follow? I agree that Kate Winselt looks amazing. I always really like the covers of Nylon. I feel kind of bad for Tina Fey, that cover looks like a 90's flashback. Oh the many faces of magazine covers. 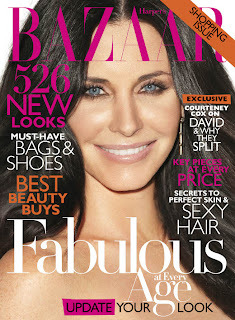 Courtney Cox on HB just looks random. My least favorite is W. I don't even know who those people are. I love Rhianna's Vogue cover. Perfect!